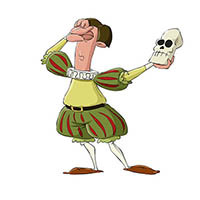 Once great William Shakespeare said: “Our doubts are traitors and make us lose the good we oft might win by fearing to attempt.” And what are usually the reasons of e-merchants’ hesitations? When the web store success is not as crazy there has been expected to be, some of them try to understand the main why. Usually it appears to be a platform that does not meet all business demands. Recently Cart2Cart Team has discovered that there are online retailers who use ePages, and thoughts and desire to change the solution are running through their heads. Let’s find out whether it is really worth changing this known e-Commerce solution with a brief review. ePages Base with fundamental features and possibilities. ePages Flex suggesting more flexible opportunities for business. ePages Enterprise for pro retailers. ePages Multistore for wholesalers and manufacturers. It is important to mention that this shopping cart appears to be ease in use and suits for the merchants who have no programming expertise and skills. So, if you are a e-Commerce dummy, there don’t have to be any challenges with management of the store. Also, of you dream about entry into international e-Commerce, then ePages can make you closer to the aim. There are 15 languages available for presenting the shop and all currencies that are accepted for payment. As it has been said, administering ePages store doesn’t have to take any efforts due to its intuitiveness. Add, edit and delete products using various settings for each item. Considering payment methods, there are the most popular ways including payment via invoice, payment in advance and cash on delivery. Really cool opportunity is selling personalized items. Let the customers to design their own T-shirts, hoodies, tees to look unique and stylish or coffee cup to make their beverage taste even better. Thereto, you can sell a virtual products like e-books or MP3s extending the customers base and business possibilities. One of the methods to increase an average order value, cross-selling, is available for retail using ePages. Customers will be suggested to buy gloves and scarf in addition to chosen hat. You can use offered templates to design your ePages shop. Great advantage is that they can be customized with the basic settings like changing the color theme, images addition, modifying the buttons. You are able to use a preview mode to have a glance at all changes. ePages developers have tried to go in step with the times and made the designs responsive looking okay on tablets and smartphones. Also, there are apps in the shop software that make possible adding additional items to the web store (“Like” buttons, YouTube videos, maps, etc). The modern main ways of attracting the public to your shop are mostly presented in ePages. You can sell through eBay and Amazon as well as retail via Facebook page that can be set up in a few steps. Also, there is a possibility to send newsletters and set discount campaigns using vouchers. Don’t forget about adding social media buttons to your website content to make your ePages store more visible for global community. SEO features can be described as basic offering SEO Cockspit and Google Adwords available for optimization only. To conclude, ePages provides a set of features that can be suitable for e-Commerce beginners, but they are not really enough to guarantee success of web store over the Internet space. It is easy-to-use, but still ties the hands of online businessmen with poor range of opportunities. 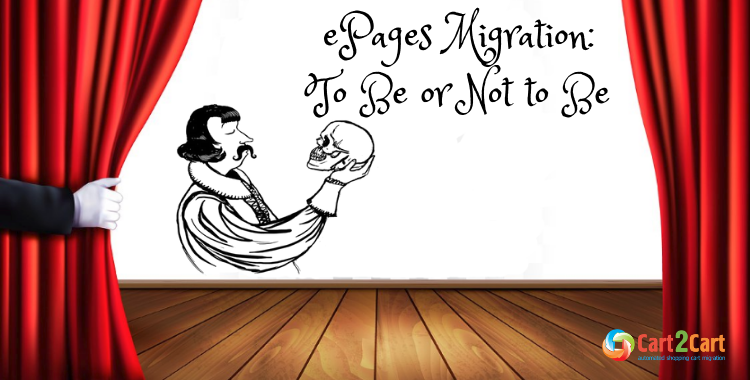 Your choice is to be or not to be with ePages. Cart2Cart service is ready to help you and migrate all your data from ePages to the most powerful platforms of e-Commerce market. Choose any of 55+ supported shopping carts and let the business prosper.